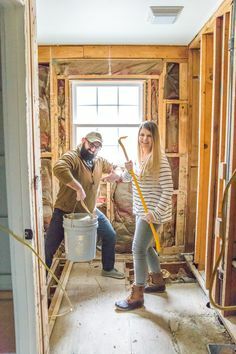 An in-depth list of do-it-yourself home improvement projects and budget decorating tips to add farmhouse character to a builder grade house (or any home). You know that song “The House That Built Me” by Miranda Lambert? It hits me right in the feels every time I hear it, and I’m usually hovering somewhere between misty-eyed and sobbing baby by the end of it. 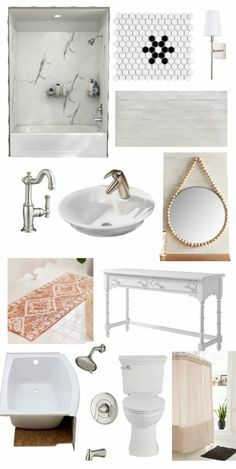 I realized that it would be perfect to collect all of them together into one big post to maybe give you some ideas to bring a little charm to your own house if yours is feeling a bit too plain Jane lately. 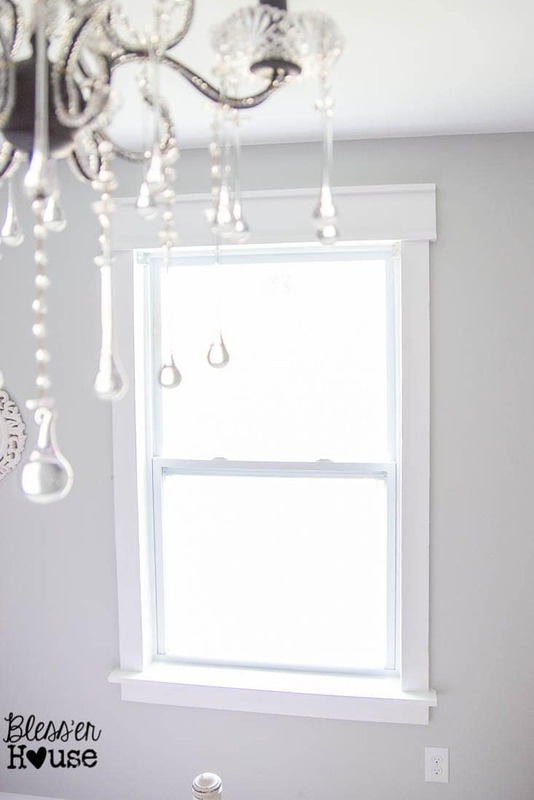 We ended up trimming out every window in our house, and it made a HUGE difference in all of our rooms. 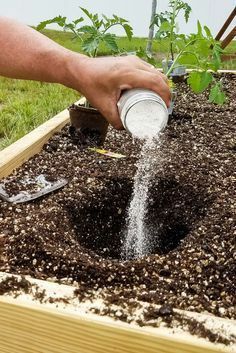 It’s so quick and inexpensive, and the method we use is super duper simple to do. Add floor-to-ceiling curtains and some natural woven shades, and you’ve got instantly beautiful windows. 2. 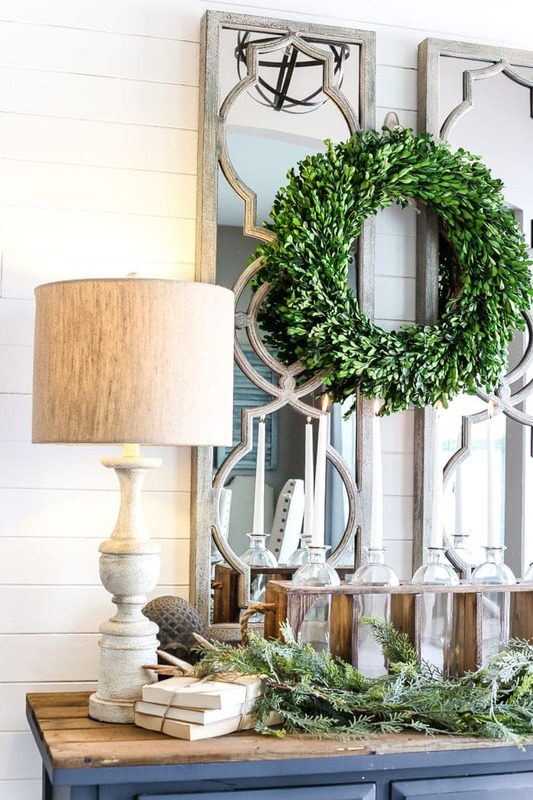 Add faux wood beams to doorways or ceilings. 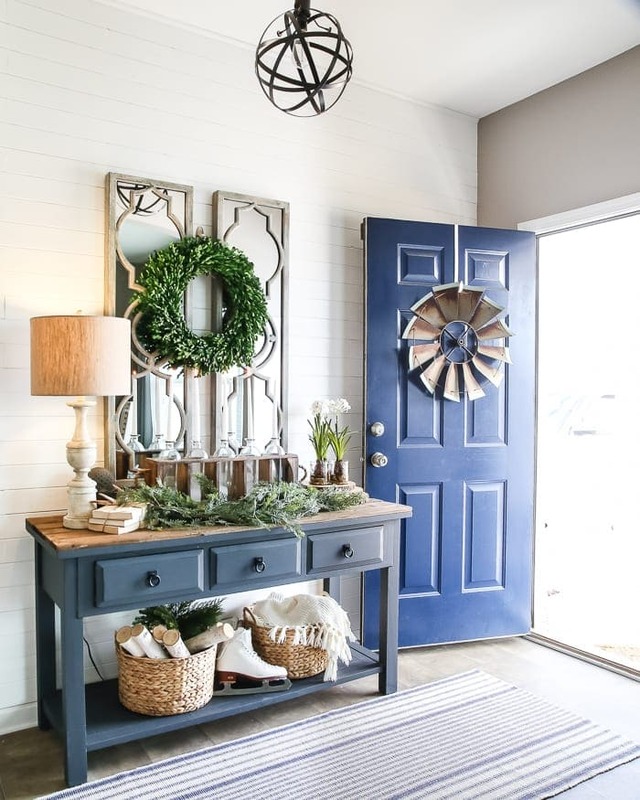 If you have a plain trim-less doorway like we did, wrapping it in stained wood is an inexpensive, big-impact way to add interest to a space. In our next house, I hope to add beams to our ceiling, and I cannot wait! 3. 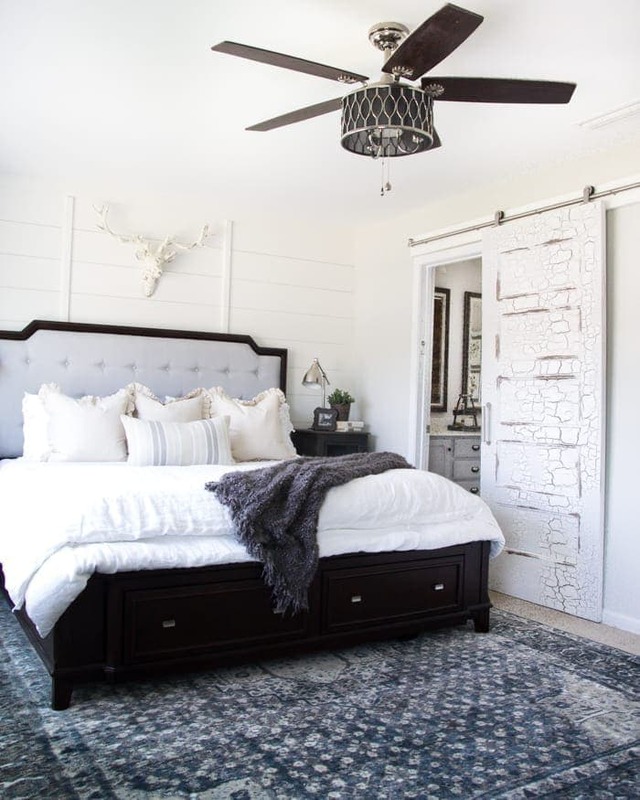 Hang sliding barn doors. 4. 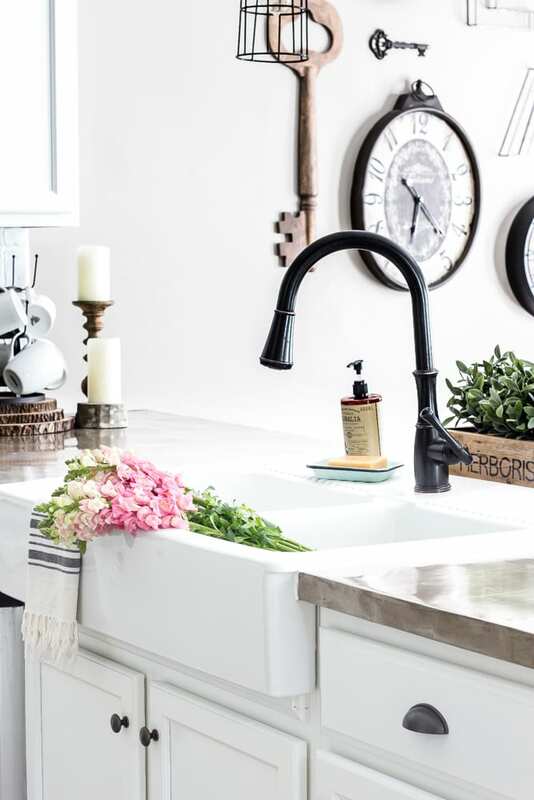 Swap out your basic sink for an IKEA farmhouse one. This sink we installed in our kitchen cost barely more than a basic white drop-in, and I’m convinced it helped sell our house. Plus, it’s huge! Washing dishes in this sink is a breeze. 5. Brighten your dark furniture with paint, distressing, and antiquing wax. 6. Install board and batten. If you want more than plain drywall, board and batten is great at brightening up dark hallways, adding a formal element to a dining space, and best of all, it’s so classic that it will likely never go out of style. If you have non-textured walls, it’s even easier to do yourself. 7. 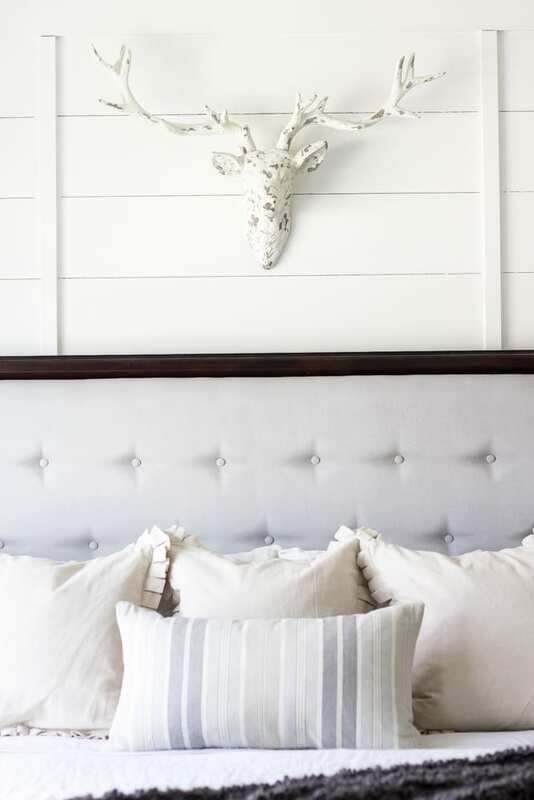 Create interest with shiplap. 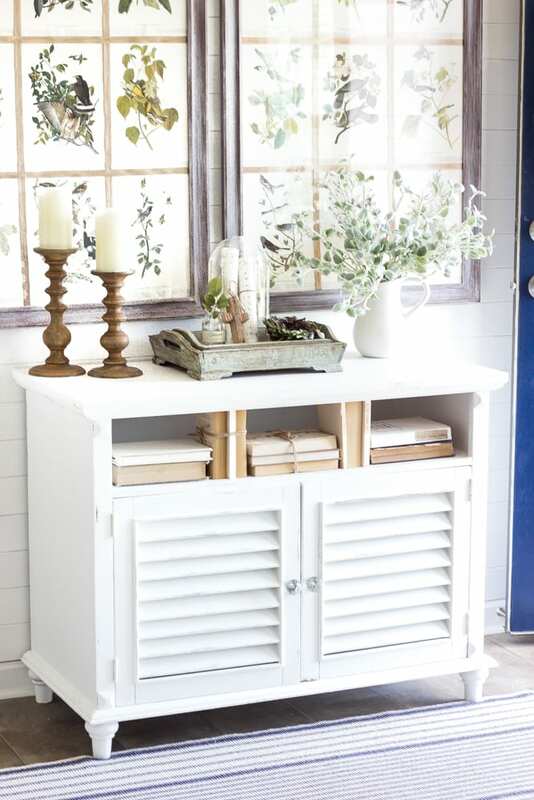 If you want instant, budget-friendly character, shiplap is definitely the way to go. 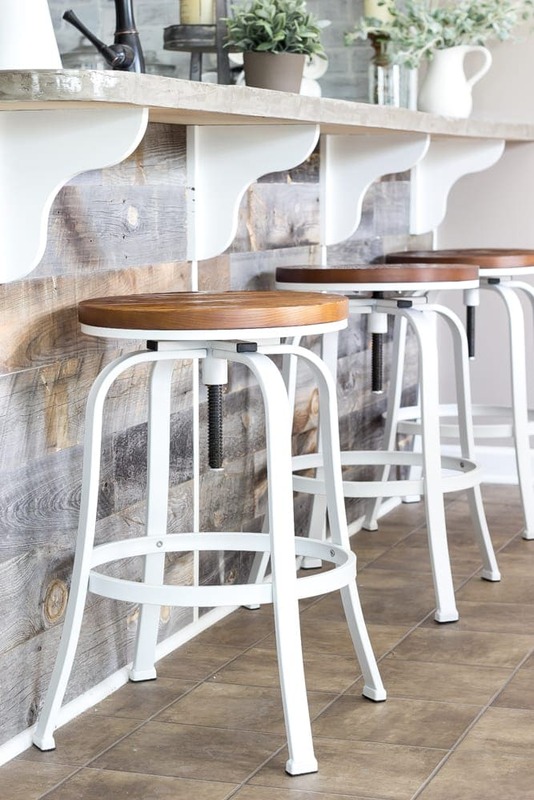 Rip down plywood or buy already grooved boards to add oomph to a wall. 8. Paint outdated cabinets and swap out basic hardware for knobs and pulls with character. 9. Spiff up your lighting. 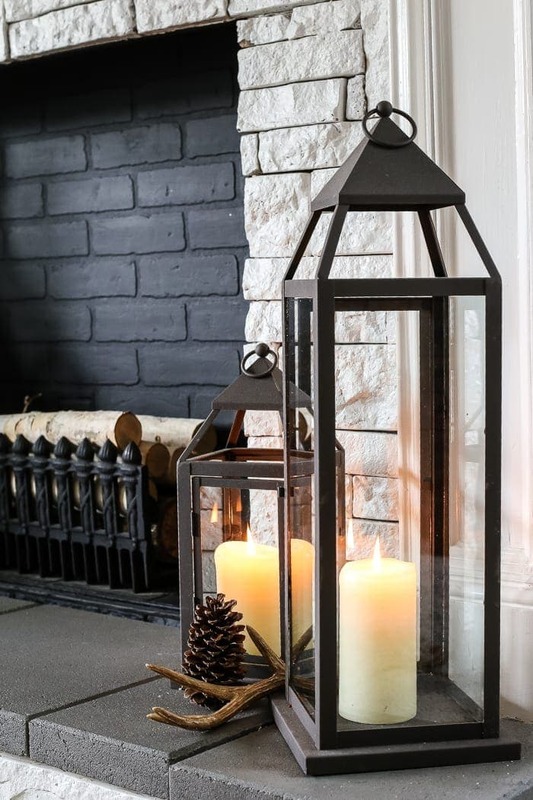 Get creative with chandeliers and pendant lights, swap out lamps (or keep a lookout at thrift stores for ones to spray paint), and incorporate lanterns for a cozy feel. 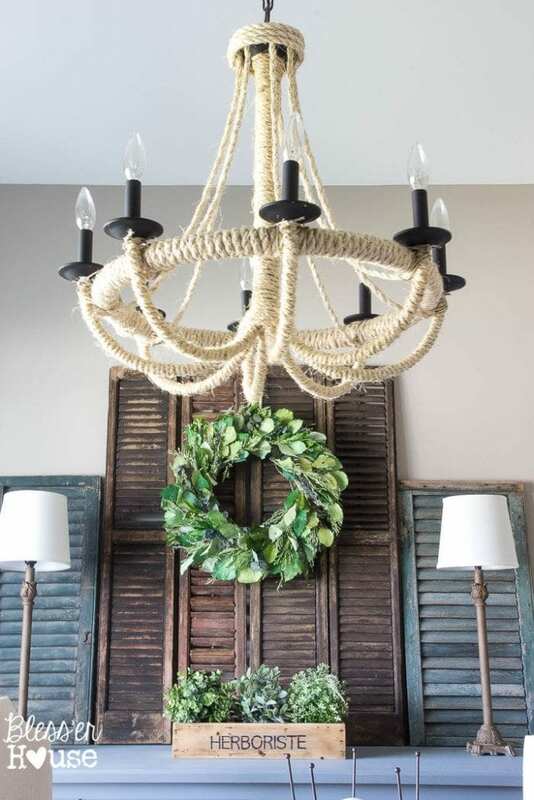 Here are a whole bunch of inexpensive chandeliers, if you’d rather not DIY. 10. If you don’t have a fireplace, build a faux one! 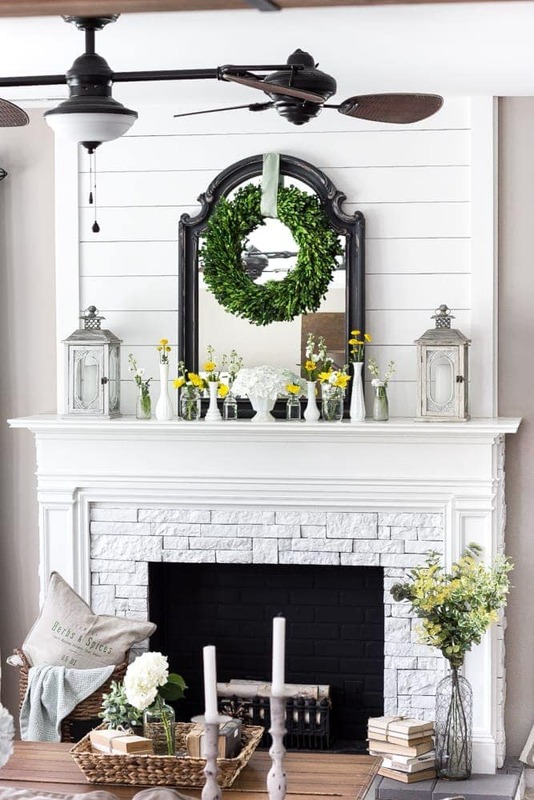 This one’s definitely for the more intermediate DIYer, but if you are craving a fireplace and aren’t ready for the $5,000+ price tag to add a real one, you can build this faux fireplace for about $600. 11. Bring coziness into your space with a textured rug. 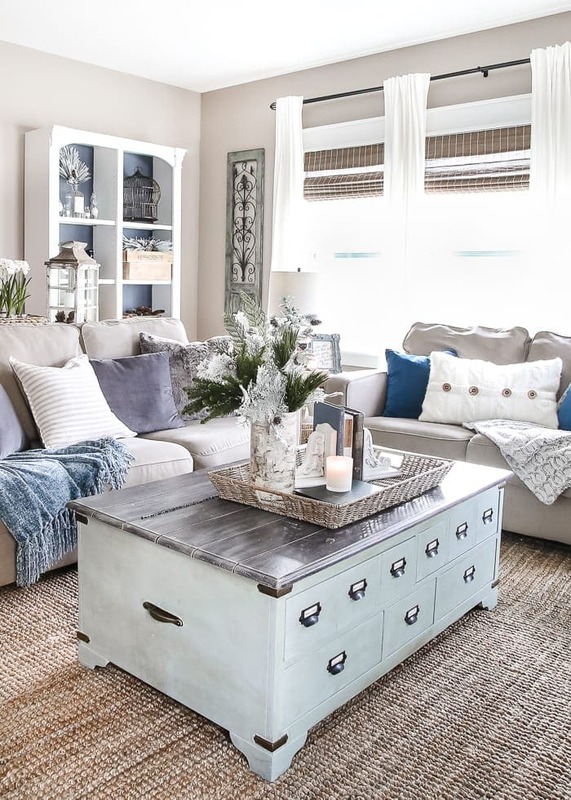 If you have a room that doesn’t quite feel “pulled together”, a rug can make it feel complete and add a cozy factor. 8×10 sized rugs are usually best for living rooms and bedrooms. 12. 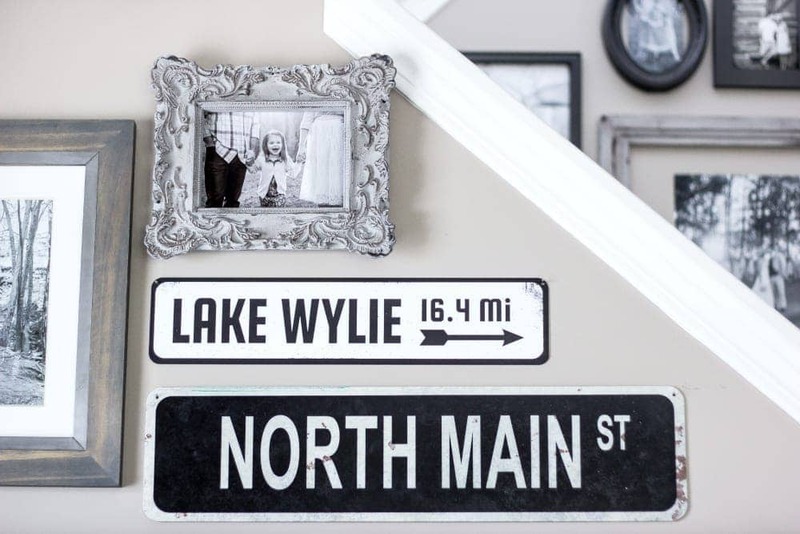 Find unique ways to incorporate old architecture, farm equipment, and antique knick-knacks. Keep an eye out at flea markets, in thrift stores, in antique shops, or on Craigslist for interesting items that can double as decor. A windmill can make a fun wreath. 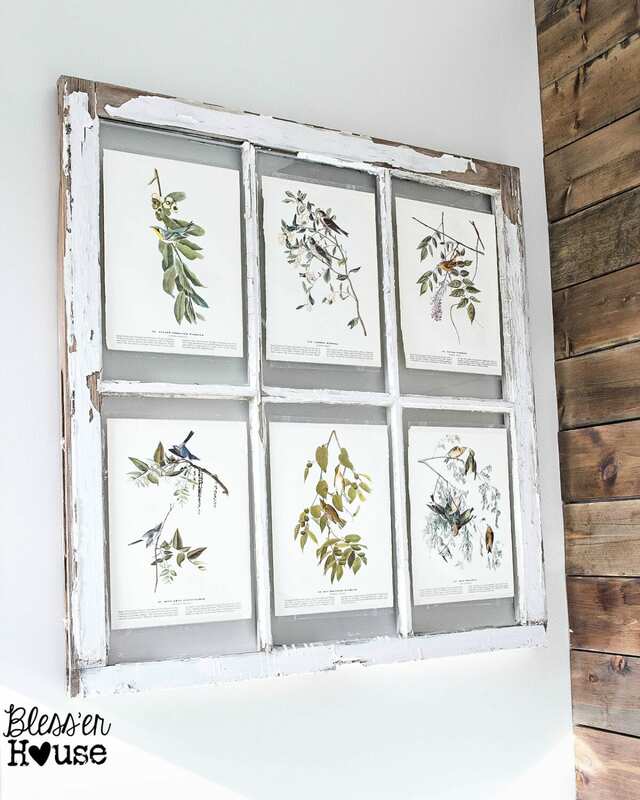 An old window is great as a picture frame. 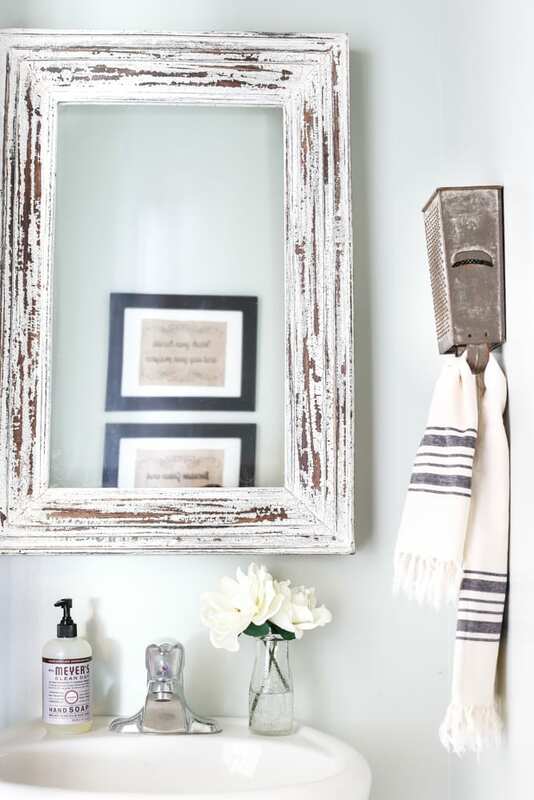 And something as simple as an old kitchen grater can be used as a towel rack (one that is dull already, of course because ouch). 13. 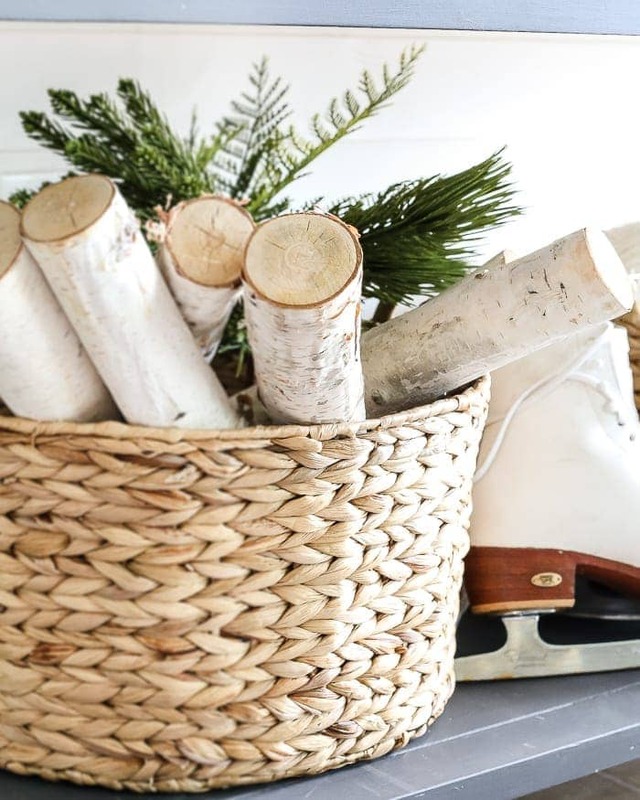 Create texture with a healthy mix of glass, wood, metal, natural fabrics, and baskets. 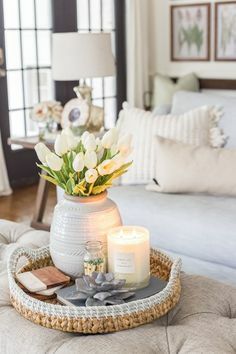 Combine different materials together to create coziness. You can see more tips for how to do that here. 14. Hang antique style signs. If you have some spare lumber lying around, making “antique” signs is my favorite way to use up old materials. 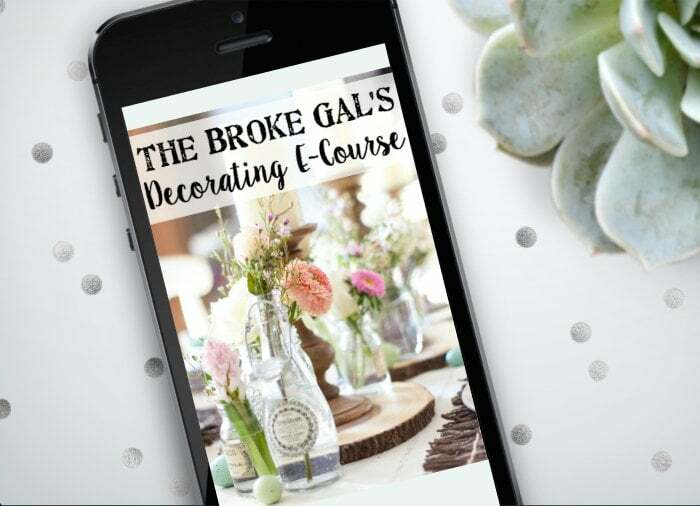 You can see how to design your own with Picmonkey here. Or if you don’t want to go the DIY route, you can find all kinds on Etsy and eBay. If you have dark brick in your house already, you can whitewash it for next to nothing to brighten up a room. 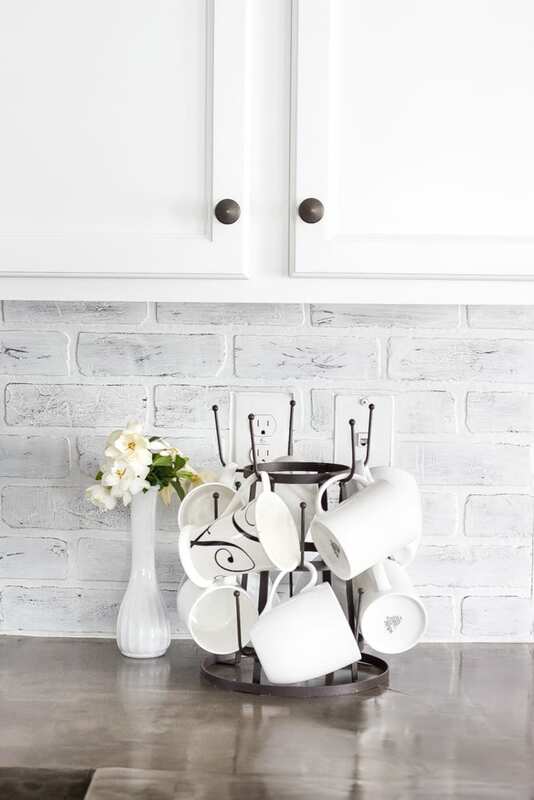 Or you can make a backsplash or focal wall from faux brick panels. 16. Have fun with flowers and greenery (real or artificial). 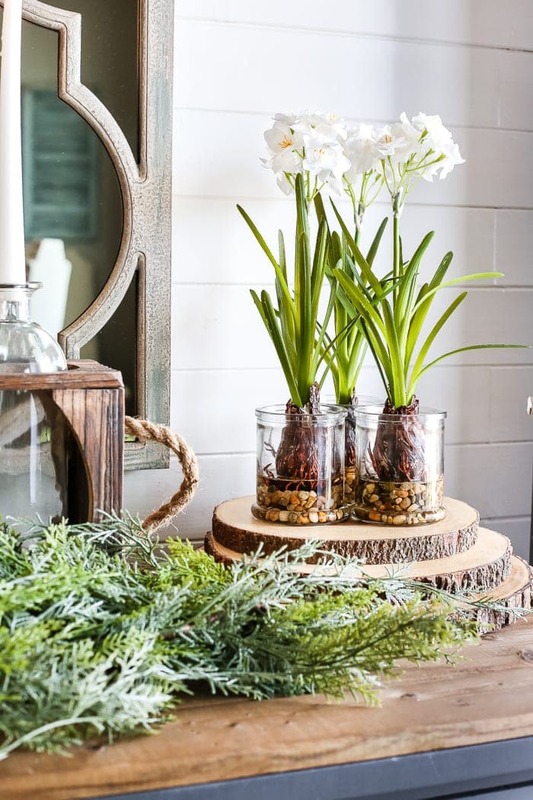 A little bit of life in the form of flowers and plants can go a long way to perk up a room. Most of mine are fake and you’d never know the difference! Here are some of my favorite places to buy beautiful flowers and plants on a budget. 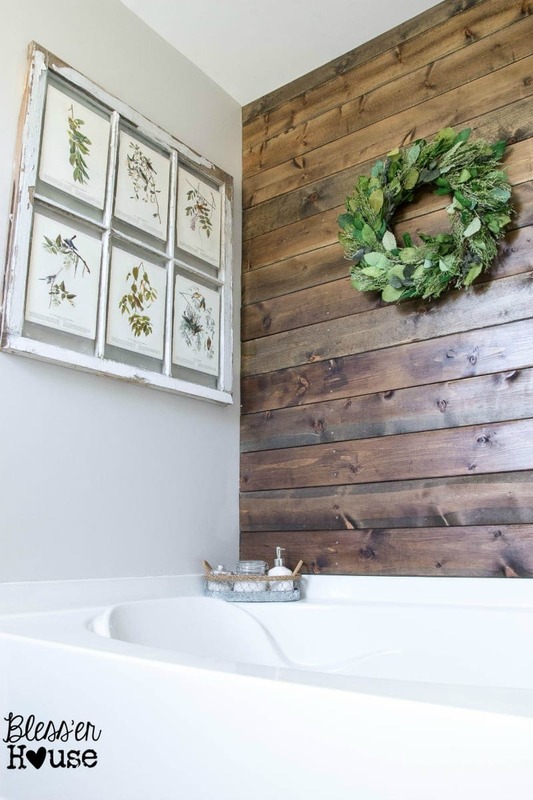 Reclaimed wood adds lots of gorgeous texture. Use it to build furniture, make signs, place on a bar, install on a ceiling, build shelves, frame mirrors, whatever you want. 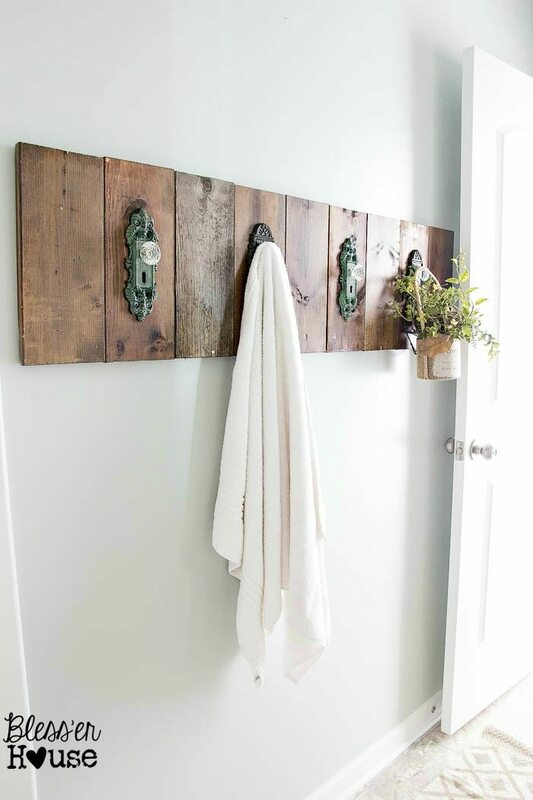 If you are having trouble finding the real reclaimed stuff, you can create the look yourself with new wood from the hardware store. 18. 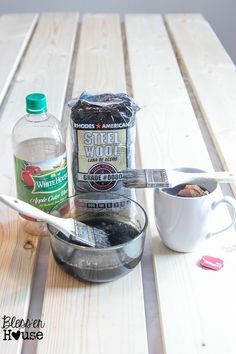 Use wood wash and antique wood stains for a natural look. 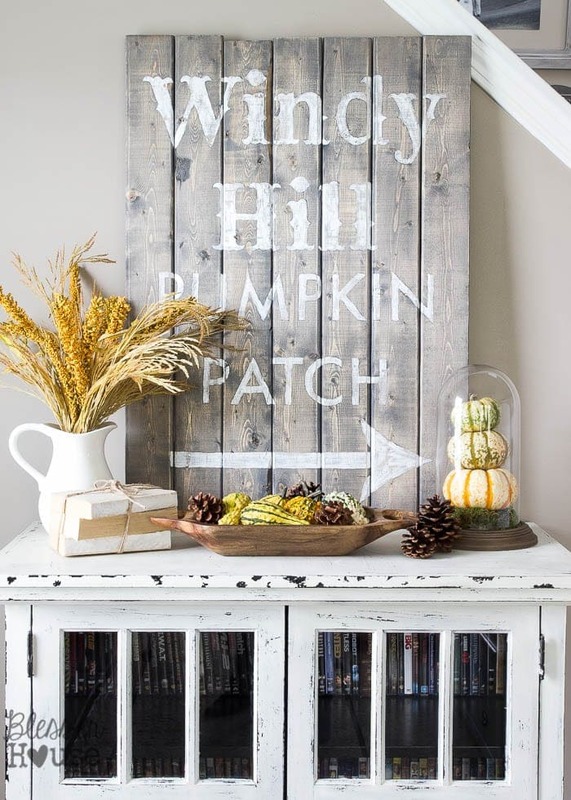 The combination of white and weathered wood is classic farmhouse, so it’s good to create a good balance between the two. If you don’t want to paint your wood furniture, you can whitewash and dry brush it or fake the look with paint if you prefer. Do you have any favorite ways to add character to a house? Have you found any great tutorials out there to make it easier or inexpensive? Have you done any yourself?! We’ll be gearing up for a whole bunch more in a few weeks. I love the rug in the living room and wondered where you purchased it. Your decorating is truly beautiful and so welcoming. Thank you for sharing your wonderful ideas. I would also love to know where the rug is from. 🙂 Thank You! Lauren, I love your ideas. We have incorporated most of these in the home we are fixing up right now. From Arts & Crafts wainscoting in our hallway to shiplap, spray painted ceiling fans & light fixtures, painted brick fireplace, farmhouse trim on windows & door frames. Another thing we have done is paint the kitchen cabinets with an alkyl ide semi gloss for easy cleaning in an alabaster & a wood countertop in a gray finish. We reclaimed the original mantel piece & added bookcases to either side. I can hardly believe how many similar things we have done to our homes! I can’t wait to see what’s next! God bless! This is the best site in years. Beats any home magazine whose primary purpose is to advertise products! Would love to know where some of the neat furniture pieces come from (e.g., large drawered coffee table). Wow…this post is definitely like walking down memory lane! Thanks for a reminder of all the simple (& not so simple! ), beautiful things we can do with our homes! Love it!! You and your husband did such a fantastic job on your house. I bet the new owners can’t wait to get in. Lucky for them, no work, just enjoy. Love these tips! 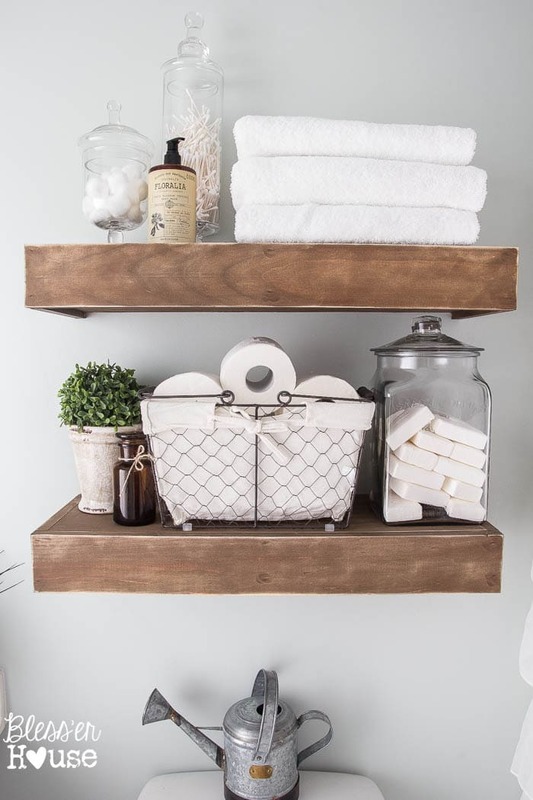 Where did you get the floating shelves in your bathroom? I’ve been looking everywhere for some like those. 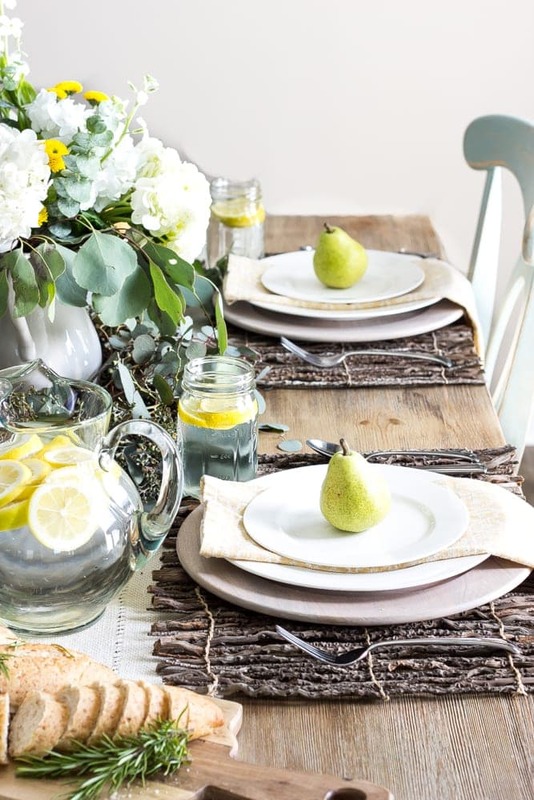 So much cuteness, texture, and farmhouse goodness. You are a genius! Absolutely beautiful! What fun ahead in doing another home! Thank you so much for sharing such great tips! We also have a new house that we built last year and adding character to a builder grade house has been more challenging than we thought! I’m pinning this to refer to as we continue on that journey. Lauren, what is the difference between chalk paint and mineral paint? 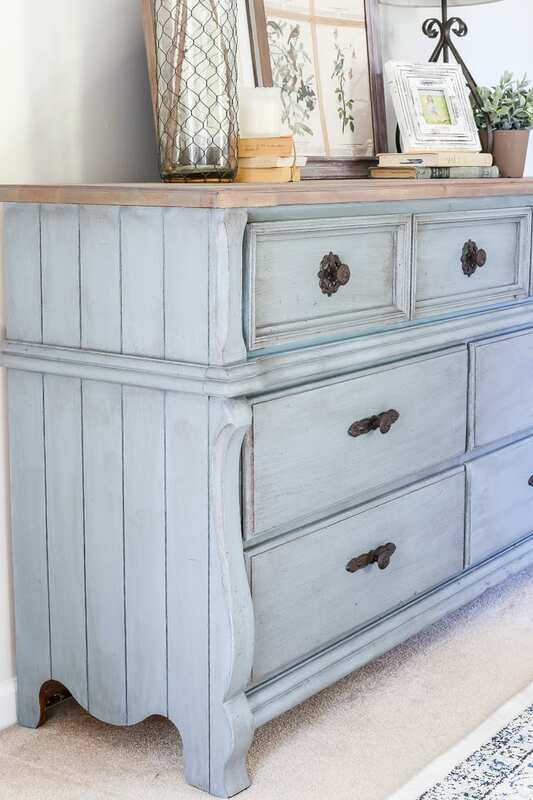 Chalk paint has a chalky texture to it and requires a clear wax to seal the finish. Mineral paint is an acrylic based paint that has a bit of a sheen to it and doesn’t require anything to seal it. Both can be sanded to distress, both require little to no prep work, and both can be antiqued with antiquing glaze or dark wax. They’re very similar, but I just use the mineral paint more often because I can skip that sealing step, which is nice. Oh my! So many wonderful and doable ideas. I love them all. I can’t wait to see your new house and all the awesome things you guys will do to it. Thank you, Angie! Can’t wait to dive in and get started on some new projects! Great post!!! I lovee how you decorate!! I have so fallen in love with the Hospitality sign above the bed. May I ask where you got this from? All wonderful and beautiful ideas! I need to get around to framing out my windows. I keep meaning to do it. So many fantastic ideas! And don’t worry, you’re not alone in crying to ‘The House That Built Me’ – the verse about the dog being buried in the backyard gets me every. single. time. This tips are fantastic! I’d love for you to join our link up To Grandmas House We Go. Hi! I’m one of the co-hosts from the Welcome Home Wednesdays Link Up. 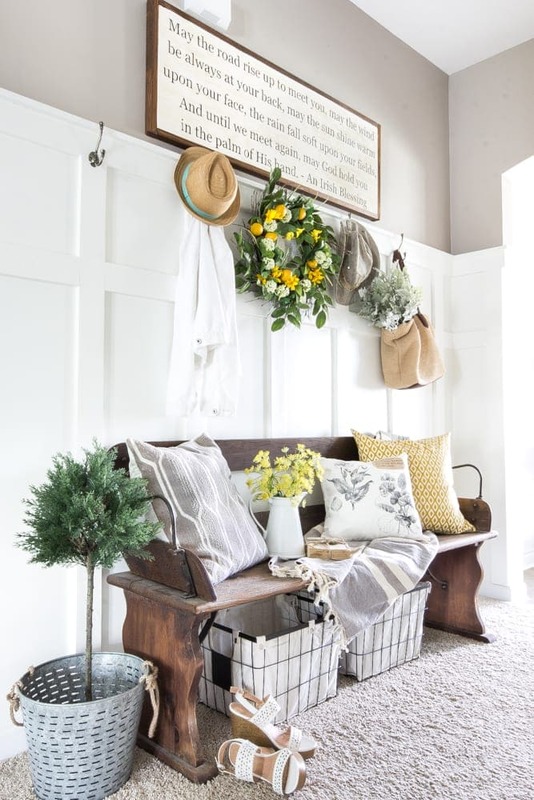 I am obsessed with all things farmhouse. My hubby & I are getting ready to build a home and I have all the dreams of a farmhouse. 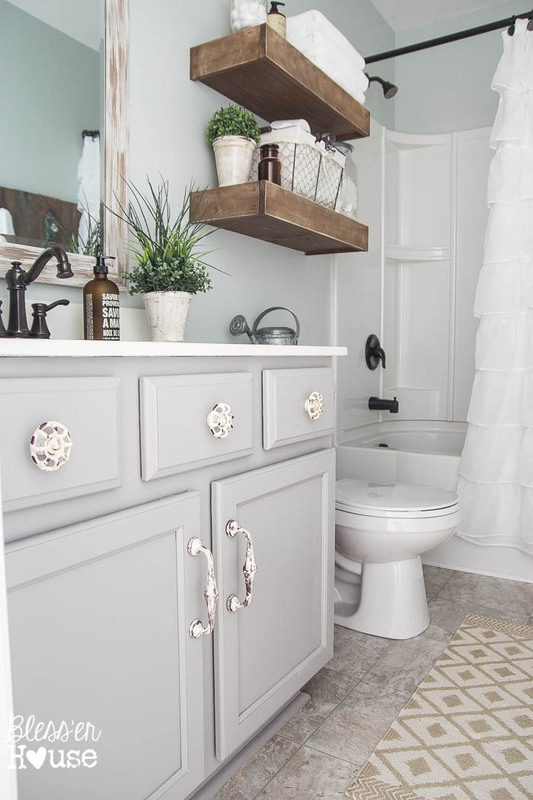 I love the sink, shiplap and barn doors! Thank you for sharing this post. I have so many ideas from this post! I love these ideas! The farmhouse sink and bar doors are my favorites. Thanks for sharing at the #HomeMattersParty! Even though I am currently sitting in our old farmhouse, I still found so many ideas here for making it, well, “farmhouseyer”! 😉 So glad I found you and all this inspiration today at the Home Matters Link Party! Hey, Lauren! 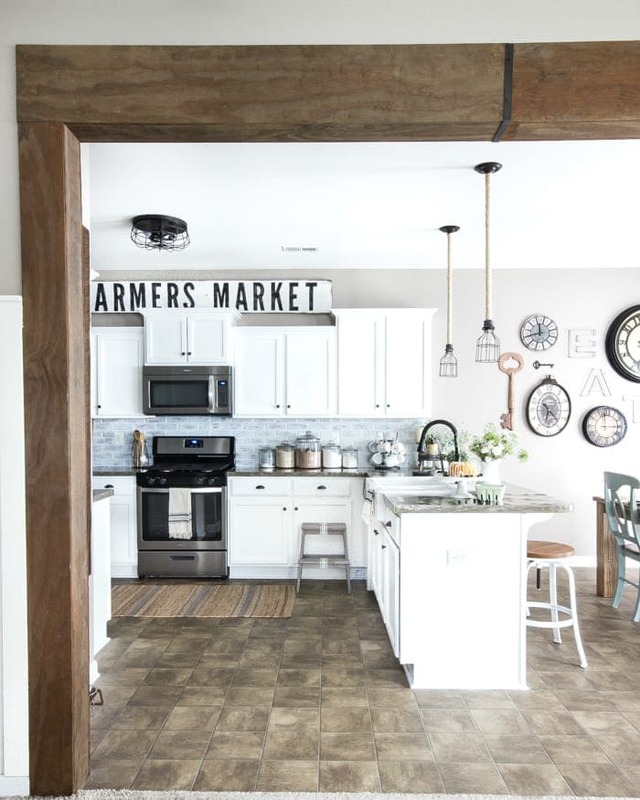 Just wanted to let you know that we loved your 18 Ways to Add Farmhouse Character to a Builder Grade House so much when you shared it at the #HomeMattersParty last week, we’ve FEATURED it THIS WEEK! Hope you can check it out when you get a sec. Happy Friday!!! 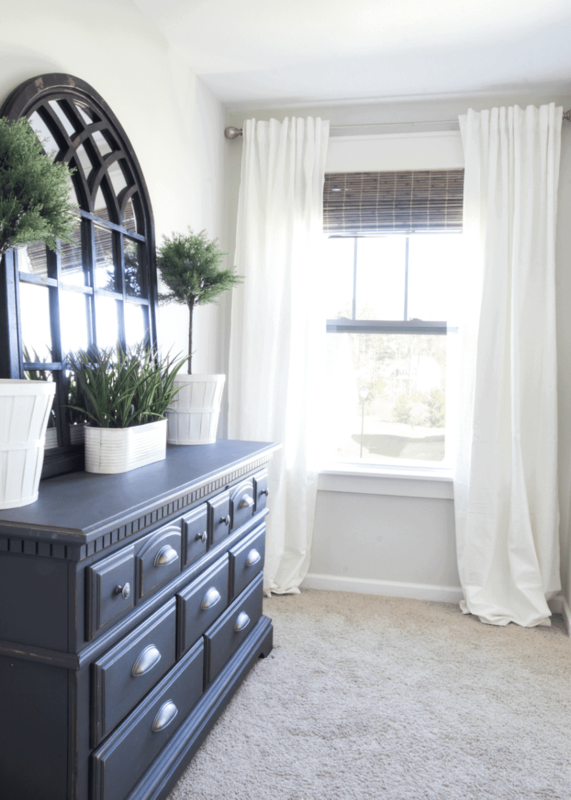 What great tips and ideas to help out those just getting started with the look! Please add me to your blog E-mail list. Thank you I look forward to seeing them. The shiplap tutorial was perfect! We completed a shiplap wall on our entry wall and love it! Thank you so much! It was a great project for 2 beginners and we are so happy with how it turned out!! 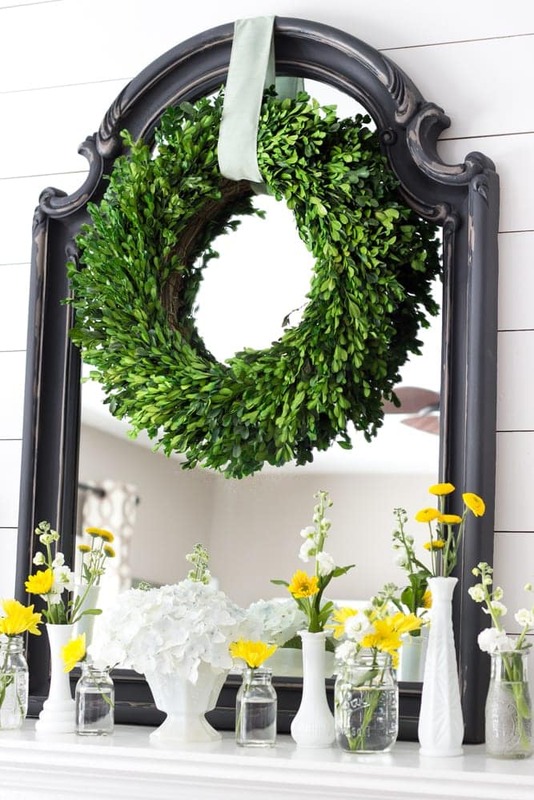 I LOVE the two matching mirrors on your entry table with the green wreath over them. Where did you purchase them? Thanks for all the great ideas! The flooring in the bathroom-what is it and where did you get it? Thank you so much for all these ideas – I love your blog !!! Just bought a house in Provence and you inspired me in many ways. You have made your home look amazing! I wish I had your creativity! For your living room where did you get sofa pillows and rug? 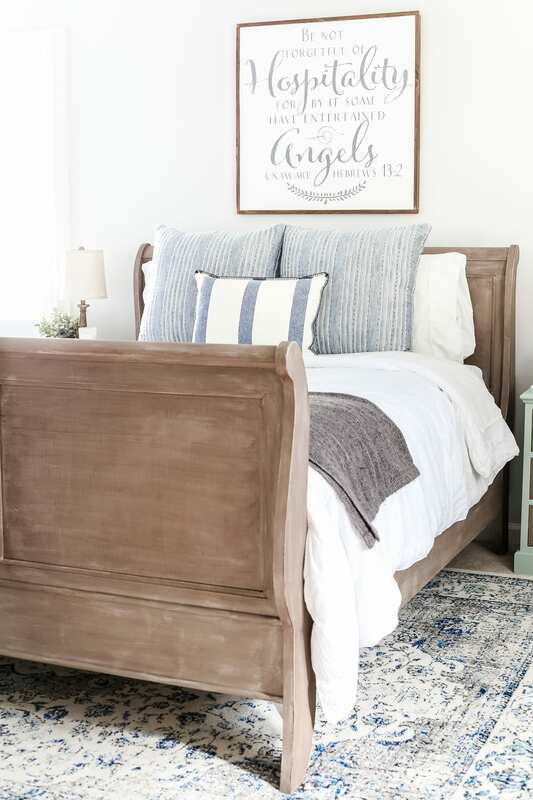 For tip 18 in bedroom that has the angels sign where is bedding and pillows from and rug? Hi Maria! The sofa pillows came from HomeGoods and rug is from Overstock. In the bedroom, the bedding is from Target (their Shabby Chic line) and I made the pillow. That rug is from Overstock too. Could you pretty please tell me what on earth those beautiful kitchen countertops are made of? 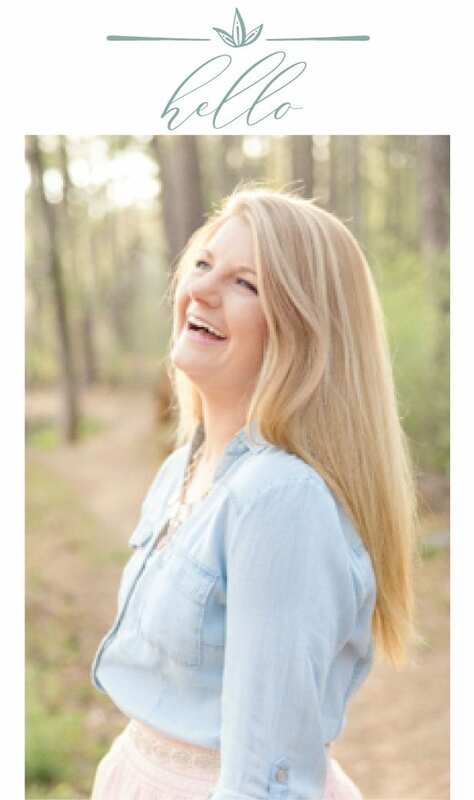 I love the whole post and have gotten so many great ideas. Your home looks so amazing! It likes a touch of a bohemian style but the one that really got my attention is the chandelier. Someday I would like to know how to do that. Thanks for these wonderful and creative ideas of yours!